MUNICH -- Volkswagen is bracing for tough car markets in 2010 even as a 19.1 percent in group vehicle deliveries in November kept Europe's biggest carmaker on track for a slight sales gain this year. "The coming year will be extremely difficult. Very different developments are expected on markets around the world," sales and marketing chief Detlef Wittig said in a statement on Friday. "While the upward trend in China is anticipated to continue, we expect a marked decline on the European market in particular. So we cannot give the all-clear yet," he said. VW said its November global sales rose to 531,300 from 446,000 in the same month last year. Group sales are up 2 percent to 5.85 million in the first 11 months. "We have exceeded our expectations so far this year. That shows our brands are on the right track with our environmentally-friendly model range tailored to the specific needs of the markets," Wittig said. 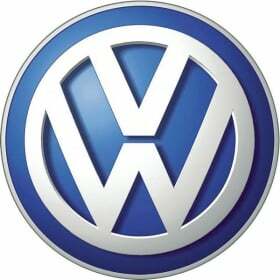 VW sales grew 72.9 percent in China, its largest market, to 133,700 last month. In its German home market, sales were up 18.6 percent to 102,000, helped by scrappage incentives. In Western Europe excluding Germany, volume rose by 7.3 percent to 139,200. Volkswagen Group deliveries in the United States increased 8.7 percent to 23,200. All VW's main brands reported sales increases for November. VW brand sales were up 25.8 percent to 334,500; Audi sales climbed 8.9 percent to 82,760; Skoda sales were up by 26 percent to 55,500 while Seat's volume increased 8 percent to 27,900.